Cfx, Inc. is excited to be partnered with Citizens Reserve. As the cutting edge, block chain professionals build and launch their global platform, SUKU, Cfx has been hard at work creating and establishing a brand for these technology innovators. Citizen Reserve aims to provide blockchain-as-a-service to everyone, changing the way blockchain and cryptocurrency is currently being utilized. 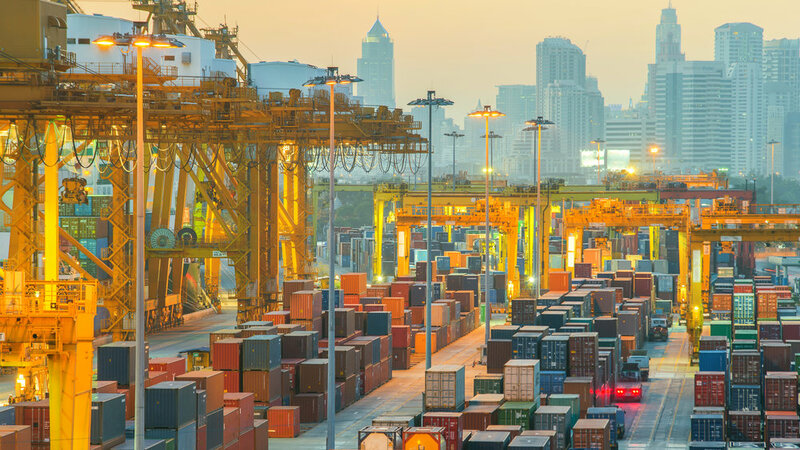 Citizens Reserve, the tech startup led by several entrepreneurs and former Deloitte blockchain executives, has unveiled SUKU, an “industry agnostic” supply chain solution aimed at tackling the issues of transparency, efficiency, and product visibility in legacy systems. A blockchain-based platform, SUKU expects to open new markets, improve operations and reduce cost of running supply chains. The SUKU ecosystem intends to provide key advantages to trading partners such as access to real-time, transparent data around the precise location of goods, privacy of partners, a bid and order marketplace, auditability of activities and the automation of contractual agreements. A blockchain startup headed by a group of former Deloitte employees is launching a new supply chain platform. "The current supply chain environment is complex and difficult to navigate. Almost all enterprises require a supply chain to some extent, but the technology supporting them remains expensive, inefficient and fragmented." Citizens Reserve announced the SUKU ecosystem on Wednesday, positioning it as "an industry agnostic supply chain solution" that seeks to improve how shipments are coordinated and tracked around the world. As far as technology goes, SUKU will leverage both the ethereum and quorum blockchains. By 2021, the United States alone is projected to spend close to $120 billion on digital marketing. With over 50 percent of ad traffic being generated by bots, marketers have no guarantee that those ads will result in conversions. Blockchain and smart contract technology is aiming to change that. Ethereum's blockchain technology allows for the secure storage and distribution of transaction information, and restricts it from being copied or manipulated. Effectively, this blockchain will remove the need for middlemen when it comes to buying and selling things, including digital marketing. Google and Facebook currently control the digital marketing sector, but Ethereum's blockchain is already being employed by the search engine BitClave. BitClave allows users to decide how much data they release to advertisers, and compensates them for that data, ultimately removing services like Google AdWords from the equation. Although a new technology, it seems imminent that blockchain will continue to change the landscape for online advertising by connecting the business directly to the consumer. A decade ago, Bitcoin was a new form of digital currency that only a handful knew about, few understood, and even fewer invested in. Today, Bitcoin is the fastest growing cryptocurrency in the world with thousands of others in its shadow. While many still have a hard time understanding what virtual currency is, the time to learn is now, as the market continues to expand rapidly and the use of these cryptocurrencies becomes commonplace. Cryptocurrency is driven by the technology known as blockchain, a continuously growing list of records or transactions, called blocks, which are linked and secured using cryptography. Unlike with cryptocurrency, advertising can employ blockchain in a number of ways. The applications in advertising will help companies target audiences better, share data, make users safer and more private, and centralize who controls the data that the industry relies on. Ever since the original (bitcoin), blockchains being built have expanded upon the importance of such transparency, and many of the most influential chains will find their most relevant applications in the advertising world. By now, most people have heard of Bitcoin and cryptocurrencies. Behind these cryptocurrencies is something called blockchain, which is one of the fastest growing financial technologies in the world, and also the backbone of the cryptocurrency marketplace. The formal definition of blockchain is "a digital ledger in which transactions made in bitcoin or another cryptocurrency are recorded chronologically and publicly," but blockchaining is proving to serve many more purposes than to simply support cryptocurrencies. In the world of advertising and marketing (and other industries), it's being considered as a way to eliminate the need for credibility and trust between parties by essentially micromanaging every transaction. For more insight about blockchaining and how it pertains to the advertising and marketing industries, read the full article here. Be sure to check Cfx Inc.'s blog in the future for more information about this rapidly-growing technology.